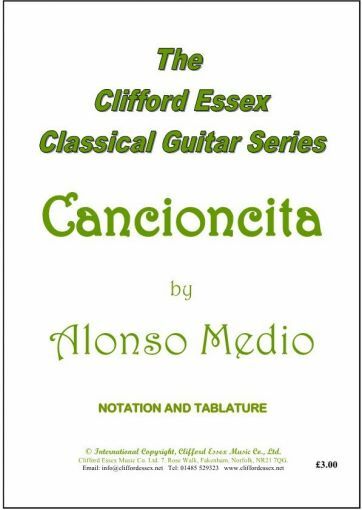 Location: /Sheet music/Guitar Series/CANCIONCITA BY ALONSO MEDIO. A rough translation is ‘Little Song’, and that’s what it is. 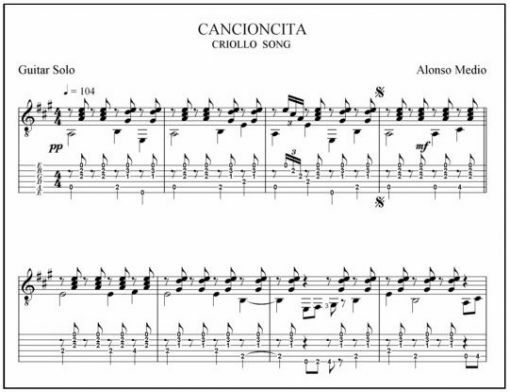 A tuneful melody which is easy to play, and well worth adding to your repertoire.